Nice looking and fits good. Although it says non-iron, it still wrinkles after I take it out of the wash and hang it. Response from Charles Tyrwhitt: Simply wash your chinos on a light spin at around 105 degrees F (40 degrees C) and then hang them to dry naturally on a hanger. Just after hanging them, make sure you give them a quick smooth over with your hands to get rid of any wrinkles which should then ensure they dry to a nice smooth finish. It is also recommended to put the chinos in a tumble dryer for around 5 minutes as the heat invigorates the non-iron technology. We hope this information helps! Nice fit and look. Although it says non-iron, it still gets wrinkled when I take it out of the wash and leave it to hang. 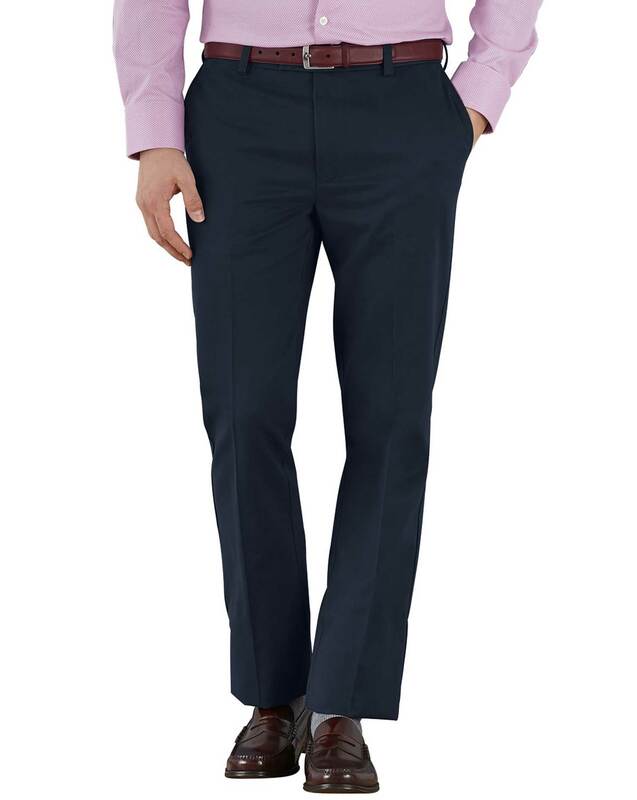 Charles Tyrwhitt chino are made from quality materials. The fit was perfect and the trousers look smart as well as being supremely comfortable to wear.